If you are looking for a review of all the best bathroom extractor fans in the UK, you have found the right place. 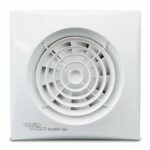 Below, in the table, the bathroom extractor fans reviews start with the most highly rated first, then descend accordingly. For people who are in a hurry, you can use the table. For people who want a more in-depth review, you can scroll further down the page, where we provide all the pro's and con's for each. This is one of the best extractor fan kits from Vent Axia that doubles as an extractor fan and a light source for enclosed bathrooms and other wet areas. It is a small and relatively powerful extractor fan for bathrooms that measures 25 x 20.6 x 17 cm and weighs 1.7Kg. You are likely to assume that this unit is a massive consumer of electricity because of the inclusion of a extractor fan light bulb. However, it is quite the opposite. The Vent-Axia Luminair comes with a unique feature known as Safety Extra Low Voltage (SELV), which guarantees total safety for use in bathrooms without incurring a considerable expense on electricity bills. The safety feature of this bathroom extractor with light fan makes it safe for installation over a shower through a process that is simple and guided by the instruction manual in the packaging. Installing it at this position enhances the efficiency of the ventilation mechanism allowing the extractor fan to remove moisture and humidity to prevent the accumulation and spread of the damaging condensation in the bathroom. You will be impressed by how this unit does the job with minimal noise especially if you have had an experience with a bathroom extractor fan that is powered by jet engine fuel. This is one of the most attractive extractor fans that comes with a glass cover and is housed in a high-performing plastic and impeller. One of the most outstanding features of the Cata Bathroom glass extractor fan is the temperature and humidity display which gives this particular unit a distinctive appearance. What is more, it is one of the high-performing and best bathroom fan the UK has to offer given that it is fitted with 220-240 50/60Hz motors, IP-44 protection, and insulation class B as a standard. This product combines efficiency and elegance to equip extraction units with advanced levels of extraction capacities, durability, energy saving, and silence. 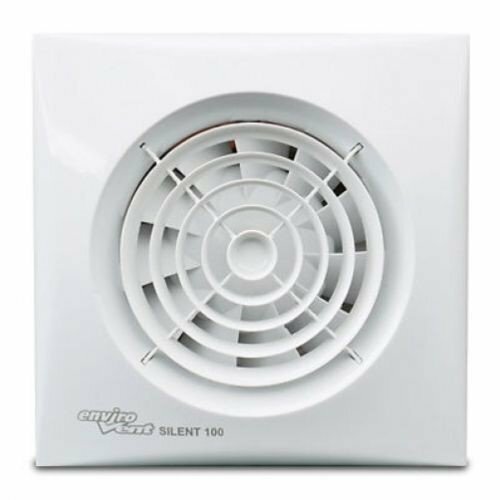 Although this series of Cata bathroom extractor fans cannot be described as silent, it is definitely a quiet bathroom extractor fan in the market with sound levels of as low as 31dB. Weighing 1000G and measuring 15 x 9.4 x 15 cm, this unit is not only light and compact but also easy to install on both the ceiling and the wall in your bathroom. The Cata extractor fan with timer humidity sensor is another great feature of this model. It has an adjustable electronic timer, and temperature and relative humidity indicator. It is also fitted with a 2-speed motor whereby the 1st one is adjustable between two extraction levels before installation whereas the 2nd one is activated alongside the humidistat or the timer. 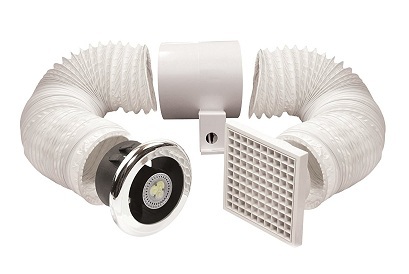 This is yet another renowned ventilation kit from Manrose that also works as a light source for your bathroom area. The Manrose 100mm LED shower light extractor fan weighs 1.3Kg and measures 30.4 x 19.8 x 17.2 cm. It has a flow rate of 24 liters per minute and an air flow capacity of 24 cubic feet per minute which makes it one of the most efficient ventilation kits in the market. You would expect this unit to produce a lot of noise when running considering its size and all. On the contrary, this bathroom extractor fan with light is relatively quiet with noise levels not exceeding 37dB, which is pretty impressive for a ventilation fan this big. The unit’s 3W LED lamp is distinctively incorporated into a circular diffuser thus making it suitable for showers and bathrooms. What is more, it consumes up to 90% less power compared to the standard dichroic lamp because SELV powers it. The packaging contains the fan, shower light unit, LED driver, one length of PVC flexible ducting fixing screws, external wall grille, plugs, and straps. 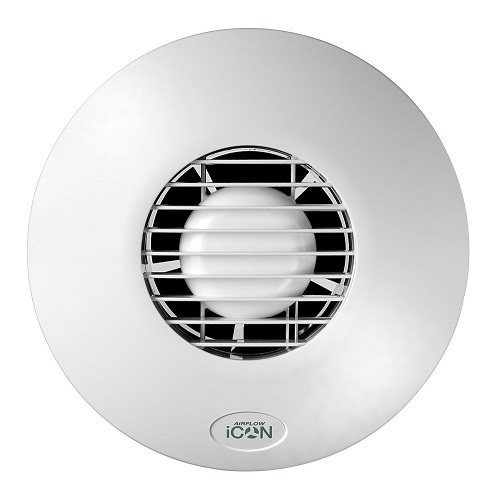 The Envirovent silent 100 HT bathroom extractor fan is one of the company’s ranges of 100mm domestic axial extractor fans for ceiling and wall installations. It is a quiet unit that weighs 599G and measures 16.8 x 16.6 x 12.4 cm, which means it is compact and therefore easy to install, remove, clean and reinstall. This unit is specifically designed to solve ventilation problems in utility rooms and bathrooms, which explains the numerous quality features that it comes with including the adjustable humidistat and timer. The motors on this bathroom ventilation kit are mounted on silent elastic blocks thus delivering incredibly silent running. The adjustable timer allows delayed shutoff for between 1 and 30 minutes, which is a pretty good time range to allow the unit to ventilate the bathroom after a shower. The adjustable humidistat, on the other hand, will enable you to set the bathroom’s level of humidity between 60% and 90% relative humidity. This unit is considered to be one of the best bathroom extractor fans in the UK. It is an extractor fan made with plastic material weighing 1000G and measuring 20.6 x 20.4 x 13 cm. On top of that, the Airflow iCON ECO 15 240V 100mm Bathroom Extractor Fan Outlet has a circular design which means it is easy to install since there is no need for squaring up. It is stylish, sleek and unobtrusive making it ideal for installation in walls and ceilings of toilets, ensuites, and small bathrooms. This extractor fan features the iris shutter design which makes switching on and off almost silent thus reducing external noise ingress. The noise levels of this unit when running are as low as 35dB. It has cantilever fixing lugs which enable installation on uneven surfaces. This feature together with the slim profile of the Airflow iCON ECO 15 240V 100mm Extractor Fan Outlet makes it easy to blend into any setting. The power rating of this extractor fan is 230-240V, 50Hz, IPx4 and has a flow rate of up to 68mhr. The High Power 220m3/hr. Inline Loft Mounted Bathroom/Toilet Fan Kit 4” 100mm is the best inline extractor fan kit from Swiftair that serves to extract damp moist air, odours and airborne pollutants form bathrooms, ensuites, shower rooms, utilities, kitchens and other internal living spaces without windows or natural ventilation. The main features of this unit include a powerful mixed flow fan, run-on timer and a high performance of up to 220m3/hr. The high power extractor fan rating of this unit is 30Watts on high speed and 24Watts on low speed, which is 160m3/hr. Its sound levels have a high of 30dB and can be mounted in lofts and cupboards. You can install two of these units in series to achieve double the pressure or in parallel to achieve double the flow. Another point to note is the fact that the motor of this inline shower fan is thermally protected. This is another excellent product from Silenta that weighs 640g and measures 16 x 9 x 16 cm. This unit has a lower energy motor of 5.5Watts to enable it to operate in low noise thus making it suitable for ensuites where too much noise would be a nuisance. 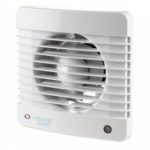 It extracts up to 78m3 of air per hour and has noise levels of as low as 26dB, which is significantly low compared to most extractor fans in the market which have noise levels of as high as 41dB. This unit comes with a timer that allows the fan to run for a pre-set period after shutting off the lights. 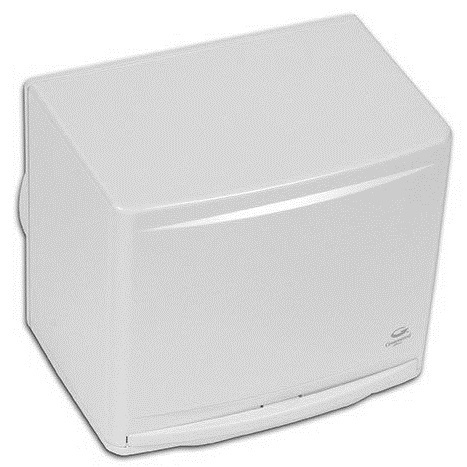 This bathroom extractor fan with timer is adjustable between 2 and 30 minutes. Another impressive feature of this extractor fan is the IPX4 rating which is a splash proof. Furthermore, it comes with a 5-year manufacturer’s warranty, which assures you of catered technical support. This is another powerful extractor fan for bathrooms from Manrose that weighs 2KG and measures 30.8 x 24.8 x 19.2 cm. It has a flow rate of 68 liters per minute and an air flow rate of 68 cubic feet per minute. Its sound levels are at 24dB, which is relatively low considering the unit’s size and dimensions. 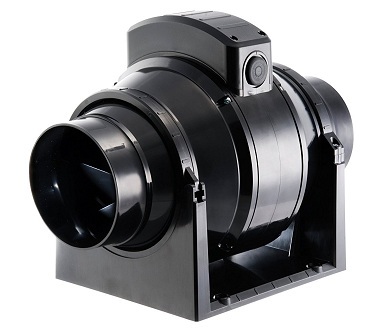 On top of that, the Manrose 100mm Standard Mixed Flow Fan is fitted with in-duct mixed flow fans that have been specially designed to produce high working pressures for applications that require high air flows. You will be amazed by how silent this unit operates. 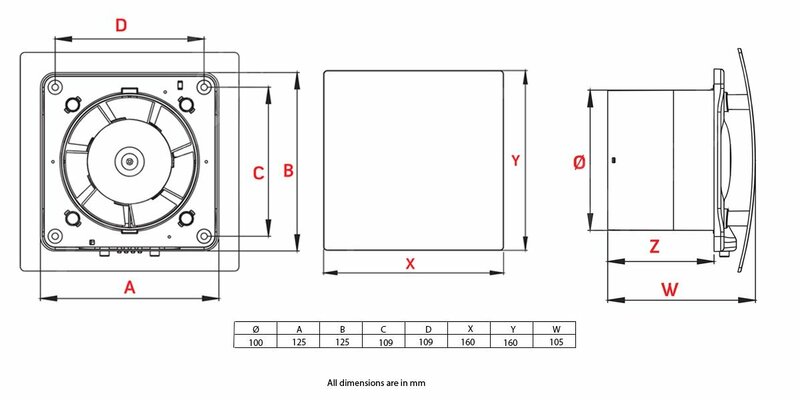 This extractor fan has a high-quality ball bearing and long life motors that are continuously rated and warranted for a minimum of 30,000 hours or 3 years. The flexible ducting in this unit makes it capable of achieving high air flows without compromising the installation procedures. 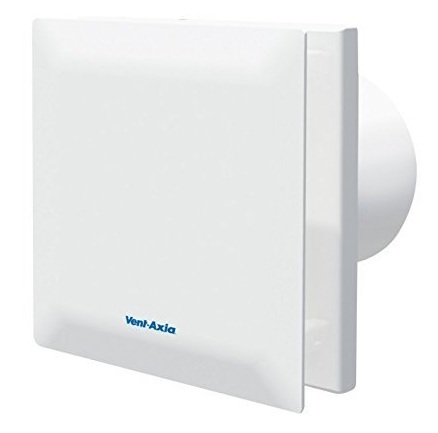 The Vent-Axia Silent Timer Extractor Fan VASF100T 100mm 14dBA considered the most silent extractor fan for bathrooms in the market with the lowest sound levels of 14dB. It comes in white, weighs 739 g and measures 3.7 x 15.9 x 15.9 cm. This unit is powered by a 6.80 Watts motor which runs on 240 volts of electricity. It has an extraction capacity of 1.26 cubic meters per minute, which is pretty modest considering its size and power rating. Some of the outstanding features in this unit include the over-run timer which is adjustable between 5 and 30 minutes, an ultra-quiet fan motor that is protected by thermal overload, and a shutter to stop backdraft among other exciting features. 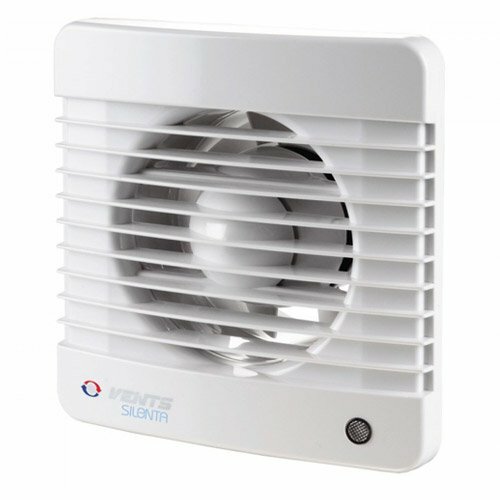 The stylish design of the Vent-Axia Silent Timer Extractor Fan VASF100T 100mm 14dBA and the IP44 splash proof rating make it suitable for installation in several locations including the walls, ceiling, window, and panel mounting. You get all these features and are entitled to a 2-year warranty. This excellent product from Greenwood Airvac works perfectly in enclosed bathrooms to extract moist air at the rate of 21 liters per second and 75 cubic meters per hour. Although it weighs 1.5Kg and measures 17.4 x 17 x 20.4 cm, this unit is actually pretty easy to install for anyone especially since it is a replacement model. 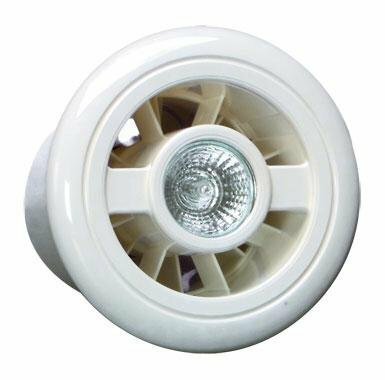 It is a surface mounted fan suitable for window, wall, ceiling and panel installations. Although it is credited for being easy to install, it is worth noting that this unit requires a permanent-live, switched-live and neutral at the fan for the timer function to operate correctly. Overall, the best extractor fan for bathroom fan choice is one that is easy to install, has a high extraction capacity and does not produce a lot of noise when running. It should also have the features considered to be standard for an average extractor fan for bathrooms. These features are an over-run timer and a humidistat. 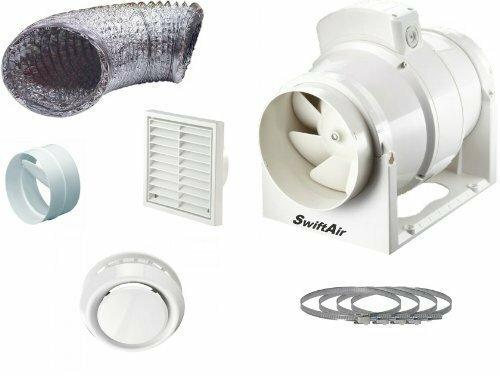 However, since it is difficult to have all these features in a single bathroom extractor fan, you need to consider some of the tradeoffs to figure out what you can and what you cannot cope without. If we were to choose one, it would be the Vent Axia 188110 Luminaire L Combined Extractor Fan and light. The most common benefit you will get out of owning an extractor fan is that your bathroom will be free of health hazards that result from the accumulation of damaging condensation. These include mold, mildew and bad odours in wet and enclosed areas in your house. It’s obvious that not all the rooms in your house will have sufficient natural ventilation. Having an extractor fan installed in these rooms will save you the costs of dealing with the damaging effects of mold in the bathroom. Another benefit is that you will keep the excess steam away from your bathroom. This is the steam that is responsible for the formation of fog in the bathroom mirror causing unnecessary discomfort. Bathroom extractor fans are electrically powered devices, which means that you need to be cautious not to get electrocuted during installation or when the unit is in use. One of the precautions that one needs to take during installation is ensuring that the power source to the bathroom is switched off. The other precaution is that you need to ensure that all the cords used are insulated and that they do not hang loosely around the bathroom area. The first thing to consider before buying a bathroom extractor fan is the cost. You do not want to get one that is very expensive that it actually stretches your budget beyond your means. Something else you need to consider is what you actually want from a bathroom extractor fan. Most people would want it for the same reason, which is to extract moist air and bad odours from their bathroom. Also, consider the features such as the presence of a humidistat and over-run timer. Despite being standard features of an extractor fan for bathrooms, you will be surprised by how many of the units are without them. Lastly, consider the size of your bathroom so as to get an extractor fan with the right extraction capacity and noise levels suitable for you. Can it be linked to the bathroom light switch? Yes, it can. If you have a fan with a timer already in place, then your wiring is in place. If this is a new installation, then you will need alive switch which your electrician will install - a simple piece of wiring work. Does it have an over-run timer and a humidistat? The presence of these features depends on the brand and model of the bathroom extractor fan you are buying. There are those units that have both features fitted although most of them only have the run-on timer and you need additional modules to have it integrated with a humidistat. Can this fan be fitted to a window? Again this depends on the brand and model you are buying. There are those models that allow you to install on a wide range of surfaces including walls, ceilings, windows, and panels.